You probably already know that whether you adopt domestically or internationally, the state where you reside requires continued follow-up and assessment by your social worker. This period is not just to meet the requirements of the state or your child's birth country but also to help you in your new role as a parent. Social workers have experience in pre-adoptive, post placement and post adoption stages. Coming home with your child is just the beginning of your family experience. Letting your adoption agency social worker assist you in this time can enhance the adjustment and joy for each member of your family. He cries whenever I put him downdoes that mean he was held too much? Is she thinking of her birth mother? He is so friendly with everyoneshould I worry about attachment issues? Is his diet varied enough? Do all 2-year-old boys like to throw things? It may be reassuring to know that the range of what is "normal child behavior" is a wide spectrum. Keep in mind that your child has also experienced some things in his/her life that differs greatly from a child that is born in this country, has lived with birth family and/ or in birth country. Your child's previous experiences before joining your family included loss, separation and change. You may have learned about these core issues in adoption during your pre-adopt education, but now that you are parenting, your understanding of it may be different. Explore these experiences with your social worker and, if you enjoy reading or surfing the internet, he/she can suggest some great material to give you additional insight. 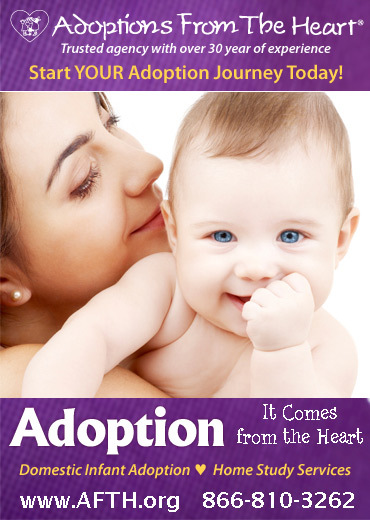 Many people have waited a considerable amount of time before making the decision to adopt. The home study period and waiting time makes it even longer. Regardless of the amount of time you have waited to become a parent, it is not uncommon for a mother or father to experience some sense of sadness or mild depression after the arrival of their child. These feelings may stem from experiences prior to the adoption (loss, infertility, experiences of your own childhood/development). Parenting itself may be very different than you had imagined. Your social worker can help you work through this period or recommend a specialist in post adoption depression. If you feel your partner is struggling with PAD and have not had the opportunity to discuss it, the meeting with your social worker is a good time to do so. Everyone in your family will experience a time of adjustment and will eventually acclimate to a new routine or schedule. If you have older children in the home, the arrival of a new sibling will certainly add some spice to the mix. Children who have previously been in your family may not be aware of their feelings but may experience some concern regarding their own placement in the family. Am I still Mom's favorite? The child who was once the youngest now is an older brother or sister. Jealousy will play a part in terms of suddenly needing to share parents with a total stranger. Adolescent children may wonder why their parents felt the desire to adopt and may feel restricted by the demands of having a young child in the family. Other adopted children may start to have questions about their own adoption story. Do my parents have a picture of my birth mother? Social workers often have clients with similar family challenges and can make suggestions for ways to work through this adjustment. If you were able to travel to your child's birth country, you have some understanding of where your child was born, who some of his/her caregivers/foster parents might have been and perhaps even met extended birth relatives. The sights, meetings and experiences all give you some rich detail to share with your child about their birth culture. If you were able to capture your feelings in a written or photo journal, these will be wonderful reflections to share with your child during his/her life. Some aspects of your trip might have been difficult. Conditions in country may have been extreme and it is helpful to discuss your impressions. Many adoption agency social workers have traveled to various countries to learn first hand about their programs.. Talking with your social worker about your experience during your trip may also help you to sort through the various feelings that you might have. Parents often ask how to share details of a child's story. This includes his/her life before joining your family. Sometimes parents are not sure how much to include or what details are age appropriate. Ask your social worker for suggestions of your own unique compilation of materials to share your with your child. Life books and photo journals can help you to capture important information that your child will enjoy hearing repeatedly. Since children are visual learners, making a color copy of this book and perhaps even having the pages laminated will ensure that your child will have access this incredible life journey. Even with limited information on birth family, your child's book can include wonderful photographs, postcards and facts about their birth country. One of the most useful components of parenting is getting support from other adoptive parents. These people understand the complexities of the adoption process as well as the joys and challenges of becoming a new parent. 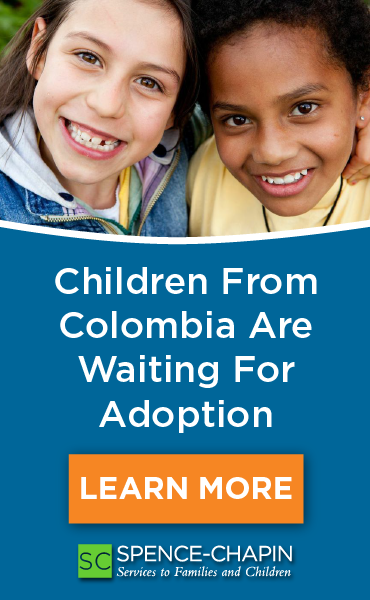 Various adoption organizations have listings of local support groups and may offer ways of connecting with families who have adopted from the same country. Ask your social worker for ways to get involved with other adoptive families and local adoption playgroup or local support groups. Learning to carve out time for yourself is not an easy task when your priority is to settle in, nurture and care for your child and family! After the arrival of an adopted child, most parents are concentrating on meeting the needs of the child, taking care of medical, developmental assessments and social work appointments as well as learning to juggling new responsibilities that come with bringing a child into the family. Taking time for yourself is critical: you need to recharge in order to take on the experience of healthy parenting! Your social worker can suggest creative ways to figure this out. Need ideas? Consider some of the following: exercise, prayer, listening to music, reading, having a phone call with a friend, spending time with your partner, taking a long walk with your dog, meditation. Your post placement period is an important part of your adoption experience. There are good books/articles on parenting and adoption, but every situation is unique. Your social worker wants to help you succeed in your role as a parent. Make use of her years of experience in the field of adoption. Post Adoption Support & Education: Your adoption agency should offer extended support to families throughout the adoption journey. Asking for further information and support are signs of a healthy family and the desire to overcome any obstacles to successfully parenting your new child. Deb Shrier, MSW, LICSW is a social worker with Wide Horizons for Children.